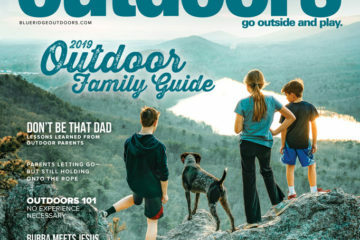 Driving along I-40 across North Carolina, many BRO readers may be apt to cruise past one of the most perfect hubs of outdoor adventure in the Blue Ridge and not even realize their unfortunate mistake. 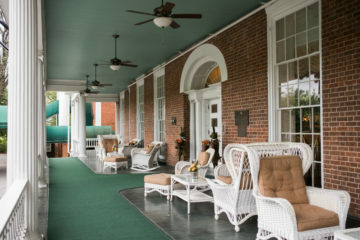 At the eastern gateway to the North Carolina mountains and situated at the midway point between Asheville and Charlotte, the foothills town of Morganton (population: 17,000+) possesses a charming and buzzing downtown that serves as the perfect base camp for exploration. 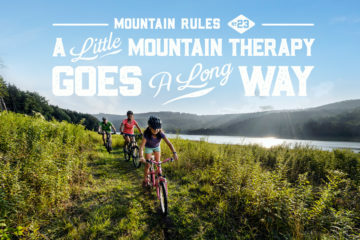 In addition to great restaurants, breweries, parks, shops, and greenways within the town itself, only a drive of a few minutes will place you in the midst of a dizzying array of mountains, cliffs, waterfalls, lakes, rivers, swimming holes, and more multisport options than you can ever imagine. So let’s get started…. 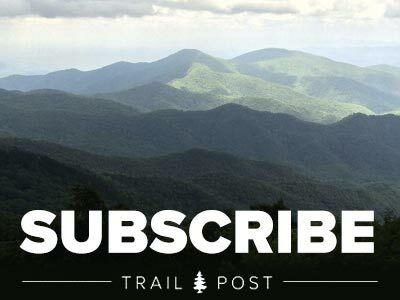 Established as one of the first wilderness areas in the U.S. and also reigning as the deepest canyon in the east, the nearly 12,000-acre Linville Gorge Wilderness Area could itself alone provide for a lifetime of adventures. 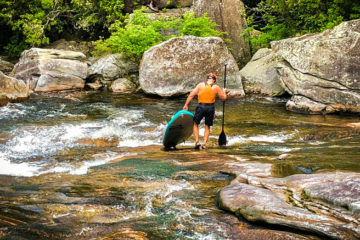 Craggy peaks, cliffs, caves, and the rugged and wild Linville River in the bottom of the gorge offer all levels of challenge to would-be explorers. One of the best and closest gorge hikes from town that also provides constant and epic views is Shortoff Mountain. 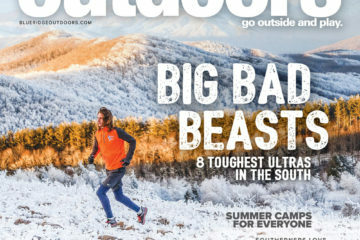 Pick up a good map at the local outfitter CBS Sports before striking out and head to the end of Wolfpit Rd. off of Hwy.126 to find the trailhead. If you are seeking a guide company for partial-day or multiple-day treks in the gorge, call the good folks at Hike More Adventures. Very close to the trailhead for Shortoff Mountain along Hwy 126, you will find the Paddy’s Creek area of Lake James State Park. This 6,812 acre lake with over 150 miles of shoreline is a refreshing jewel that offers a perfect sandy beach for swimming, kayak rentals for only $5 and $3 per hour as well as 15 miles of recently designed flowing singletrack perfect for beginner and intermediate mountain bikers. Click here for more info. Greenways, disc golf, adventure playgrounds…and a life-size Ewok village? 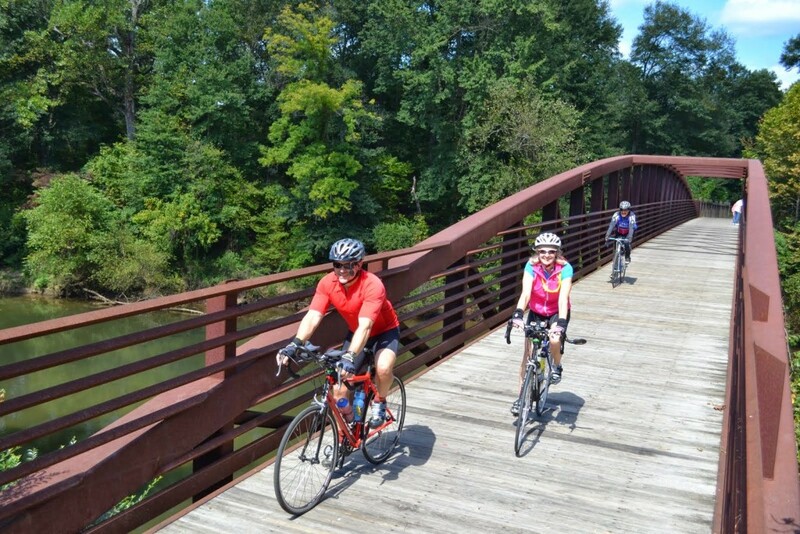 Back in town the 4.8 mile Catawba River Greenway is a smooth paved trail that hugs the river and eventually terminates in the beautiful 230-acre Catawba Meadows Park. 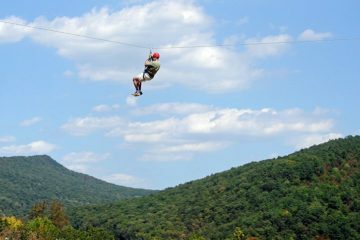 Here you have a range of options including a forested 18-hole disc golf course, a wild adventure ropes playground for the kiddos and best of all…The Beanstalk Journey, an exhilarating blend of ziplines, canopy tour, and ropes course designed and owned by the local and legendary Outward Bound pioneer Mike Fischesser. This amazing and elaborate adventure complex is breathtaking just to look at much less to experience firsthand. Find out more details on the greenway, park, and Beanstalk Journey here. Wilson Creek is born on the high slopes of 5,920 ft. 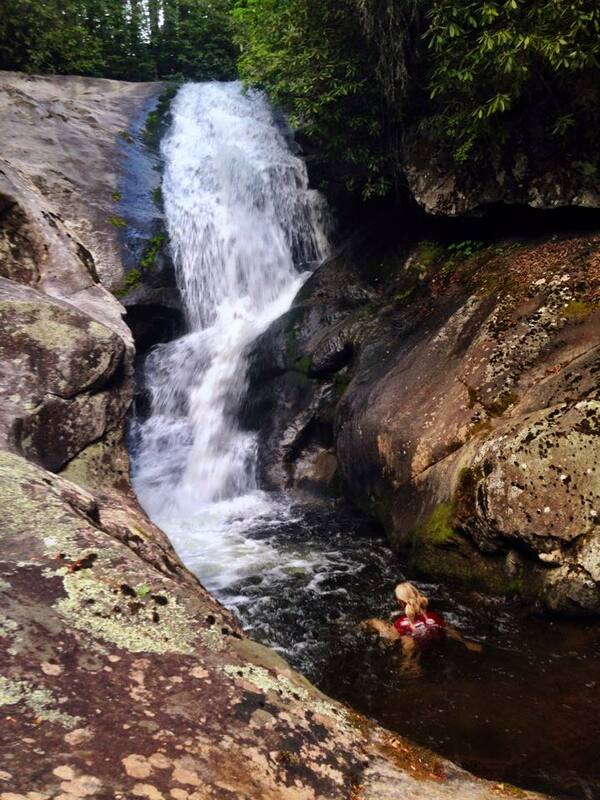 Grandfather Mountain and 20 miles later rushes through a gorgeous granite bedrock gorge. 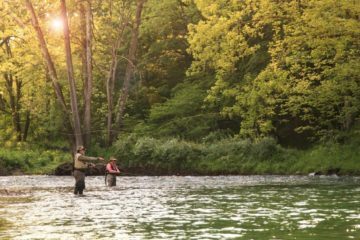 With 25 plus miles of trails and 39,000 acres this wild and rugged playground is a haven for kayakers, anglers, and swimming hole enthusiasts. 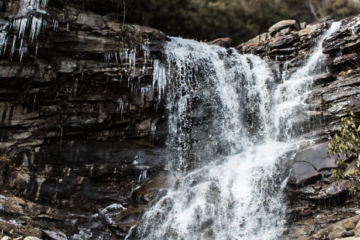 Although you could easily spend all day here, an 8 mile out and back trip to Harper Creek Falls and Bard Falls will lead you to two of our favorite waterfalls and provide a good taste of what makes this area so special. 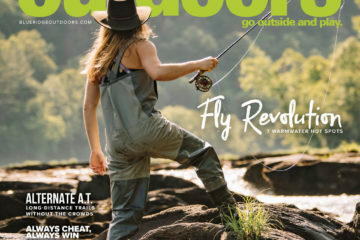 For more detailed local fishing beta, check out Upper Creek Angler. 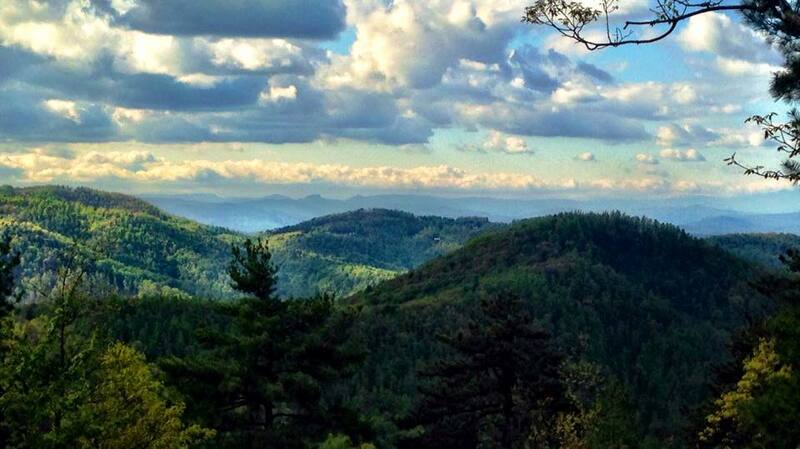 With over 18,000 acres and 45 miles of trails, South Mountains State Park is the state’s largest in the system and offers a grueling 17-mile mountain biking loop that provides great views from a lot of gnarly forest roads. If you are more interested in exploring on foot, run or hike a nice 3 mile loop to witness one of the park’s gems: the 80 foot High Shoal Falls and the beautifully rock-strewn corridor of Jacob’s Fork River. The Grind Café – The place where all the locals know to go before their big day outdoors. Located downtown on Union St., this café/wine bar/coffee shop offers pastries, quiche, breakfast burritos, smoothies, strong coffee, and much more. Judge’s Riverside – Right off the greenway, hit this place up at lunch for some of the best BBQ and down home cooking around. Even better than the food itself is the setting…expansive patios and decks that offer outside dining while overlooking the Catawba River. Wisteria Southern Gastropub: Fantastic locally-grown, sustainable, and fresh farm-to-table cuisine blending classic Southern fare with new and exciting flavors. 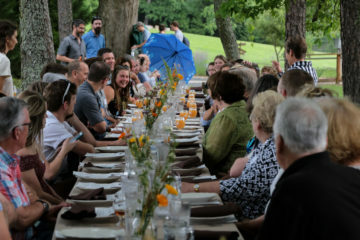 Root and Vine: Some of the finest dining in town. You will find French-influenced dishes incorporating seasonal local produce, fresh seafood, and a vast array of beer, wine and cocktails. MoonDog Pizza: The best pie in town! You will find delicious and creative toppings and combinations here at a great value. Catawba Brewing Company – Although this well-loved operation now has 2 outposts in Asheville, Morganton is where it all began. Their head facility and taproom are still located right in downtown on South Green St. Here you can find their classic line of canned beers of course, but also you can try some of their other excellent and unique offerings like the Mother Trucker Pale and Black Dome Stout. Fonta Flora Brewing – Only a couple of blocks away, this small regional brewery has been causing quite the buzz lately on the craft beer scene. Fonta offers visitors adventurous and delicious rustic ales and saisons while using as many local ingredients as possible. 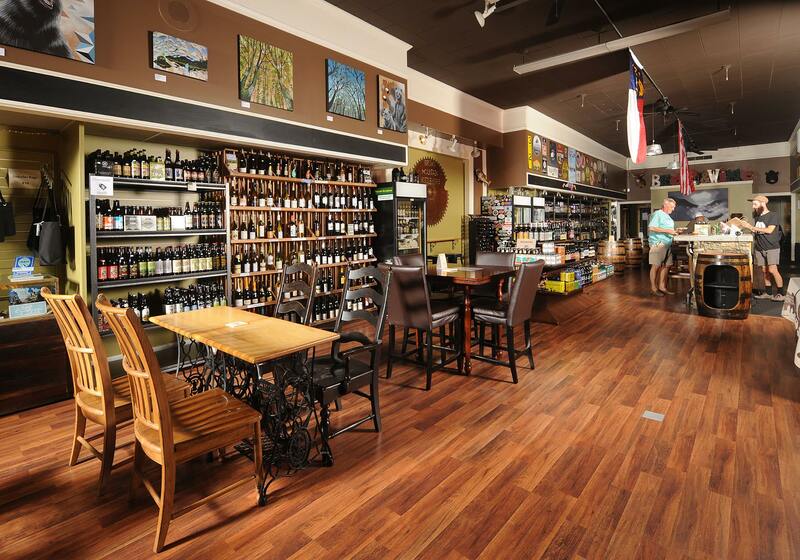 Brown Mountain Bottleworks – A newer community gathering spot. As a hybrid bottle shop, beer, and wine bar, and music venue, this is the kind of place that is perfect for an after-dinner hangout and nightcap. 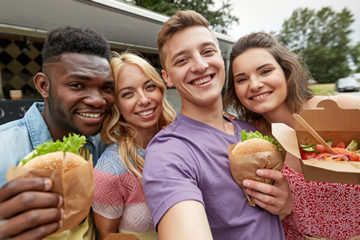 Camp Lake James – An exclusive lakeside community and adventure center that offers 2 unique cabins with all the amenities and privileges of the community. 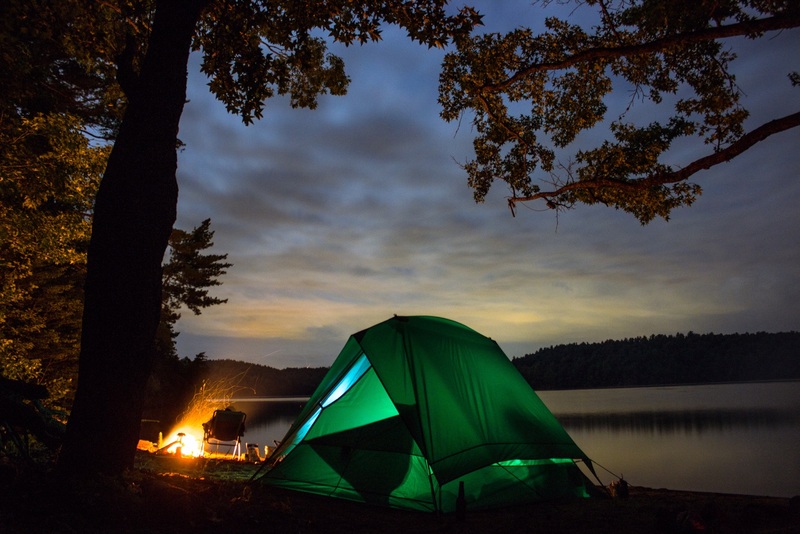 Steele Creek Park – A family campground complete with a camp store and a natural swimming beach with water slides and diving boards. Red, White, and Bluegrass Festival: This much loved multi-day event is in its 12th year and features a holiday packed with some of the most acclaimed bluegrass acts in the business. A sampling of this year includes The Del McCoury Band, Blue Highway, Town Mountain, Seldom Scene, Balsam Range, Mountain Heart, and many more. July 1st–4th at Catawba Meadows Park.